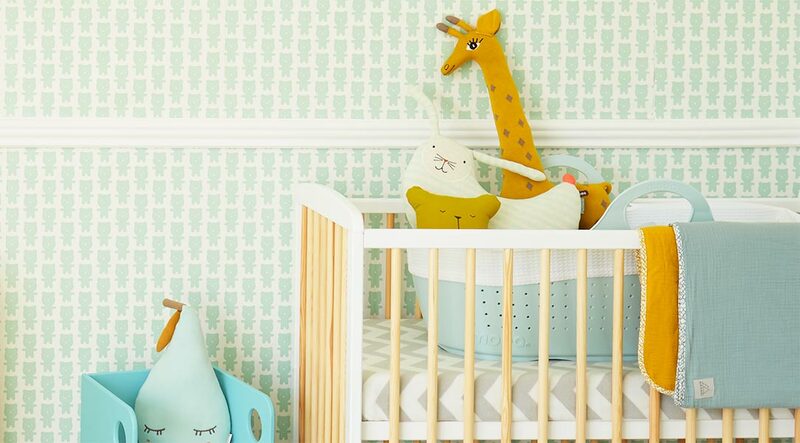 Prepping your nursery is an exciting time, albeit a little overwhelming (we’re looking at you Pinterest). Our tip is to identify something you really love and build the room from that. It could be a cushion, blanket, soft toy or, if you’re like us, a colour. And one we’re currently crushing on is mint. 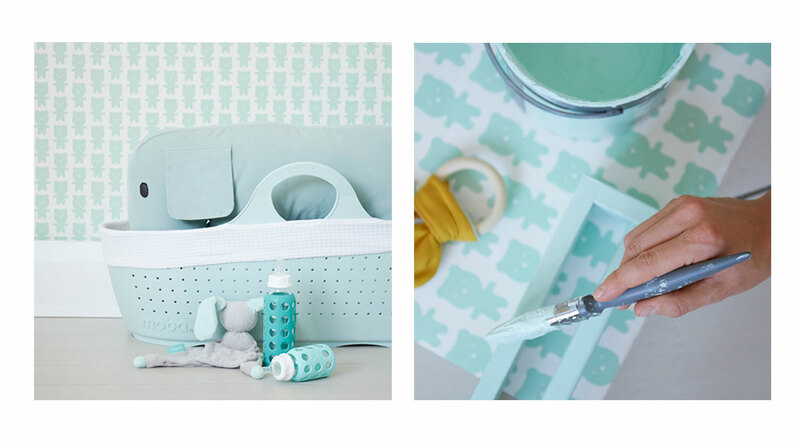 Here’s our tips for creating a cool and calm nursery using this fresh shade. Not all mints are created equal and you can be as adventurous or as subtle as you like (we used Meadow Matt Emulsion Paint from Homebase). 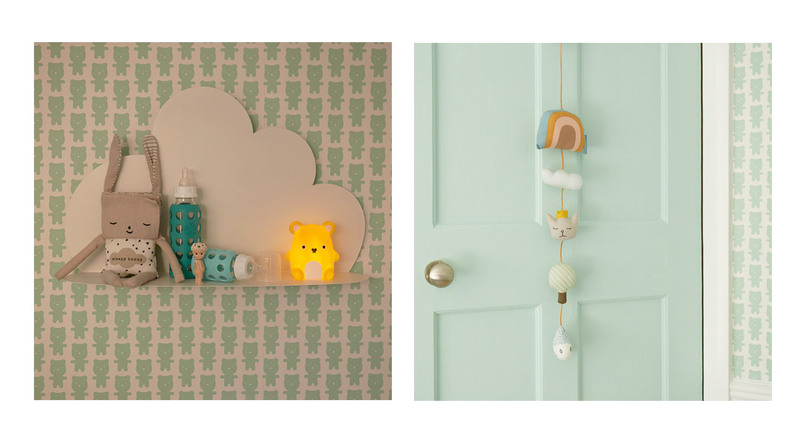 There’s great wallpaper options too, this Bear one from Rachel Powell provides a base to build from and adds subtle fun. Adding mustard to mint makes it pop. 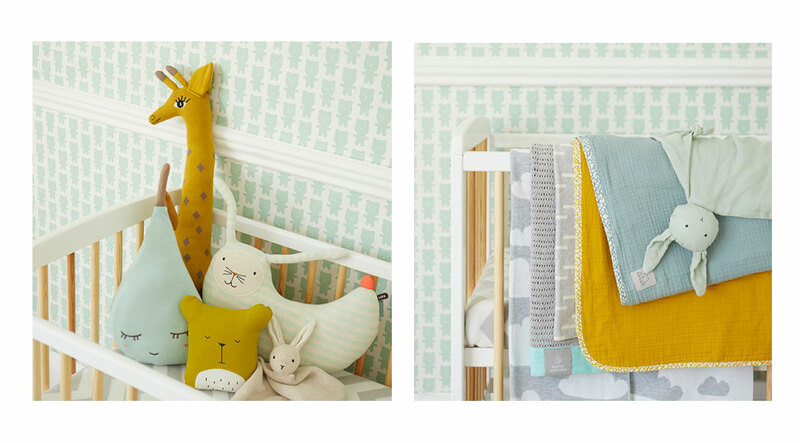 Modern and bold, it brings calming warmth - just what you need in a nursery. It’s also unisex, so perfect if you don’t yet know what you’re having. Keeping your furniture neutral stops everything getting too busy. The minimal wooden KIDLY two tone cot is a great option here. Along with this white cloud shelf from Bloomingville. Paint isn’t the only way to add colour. Bring things together with cushions and blankets. We especially love these Nanami Reversible Double blankets in rich mustard and teal tones. Place them together to create fun focal points, as well as places to snuggle. Team the OYOY Peter Rabbit cushion with the OYOY Noah the Giraffe cushion. The contrasting patterns add some fun. Nightlights, mobiles and toys all add to the overall look. Add these in at the end to provide the finishing touches and top up on any areas of the room lacking in colour. The Noodoll Ricecracker nightlight in mustard yellow is a great choice and looks great paired with the OYOY Rainbow String Mobile. Enjoyed this collection? If you’re looking for more room inspiration then we’ve curated each room in the house to help and inspire. 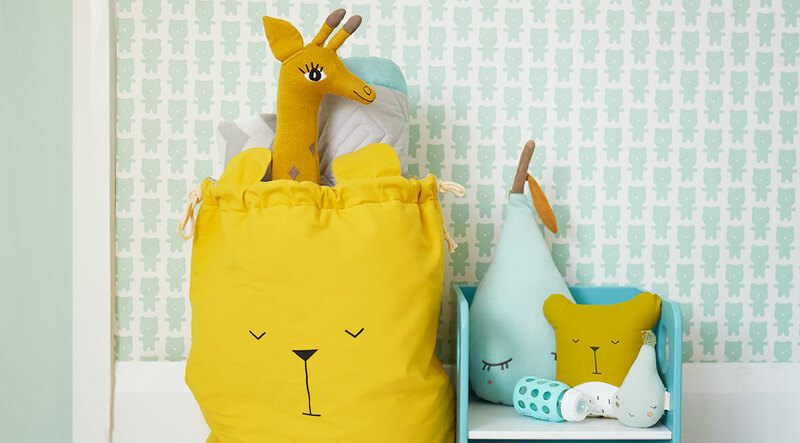 Take a look at our tips for putting together a natural nursery or creative play space. Our articles on creating a family living room and bathroom, ensure you have the perfect space that suits you and them, while our kitchen ideas help create a mess-free, stylish place to eat.